The holidays are here and we will welcome the new year soon. It is time to look at what we have achieved so far, but also to find new opportunities for better ROI. With the boom in Internet technologies and social media websites, online marketing is becoming a-must-have strategy for every business. To get results, you need more than a pre-defined suite of marketing tactics. Proceed Innovative will consult with you on your Internet marketing objectives, analyze your website design and search engine optimization goals, help define successful web metrics and analytics, and provide a complete set of integrated marketing tactics to accomplish your business objectives. Holiday Marketing Promotion: Contact us for customized FREE analysis of your Internet marketing opportunities or register for our FREE Internet Marketing Seminar - "Get Noticed on Google!". Go through every page and make sure it has a well-written call to action. Something on the page ought to urge visitors to click. Putting the call to action at the top of each page helps people understand where to click next. Move the traffic where you want it to go. Create a blog, e-zine, and/or free white papers. Analyze which perform best at persuading visitors to convert to clients. See how long it takes your main pages to load. Nobody wants to wait around for a page to load when they can just hit the back button. Add a live chat representative. “She” can help visitors throughout their visit to your website, offer customer service and improve conversions. These are only a few suggestions…please let us know what you’ve tried. If my competitors are using many of the same keywords, how does one website get ranked in Google over the others? In our search term/keyword research period we find fresh search terms for SEO. The best way to find them is with research tools that let us put in words, and collect many combinations and extra usages of those words. We also learn general information concerning how frequently each search term is used. When choosing which of these search terms to use, we bear in mind that the more common it is, the harder it will be in obtaining top placement in Google. However if we choose terms with minimal searches we won’t acquire much traffic, so we choose terms in the middle. There are so many different combinations of search terms, so usually our clients don't have just one website they're competing with. Don’t believe it? Look at your last ranking report and see how many different websites rank number one for each of your search terms. We recently did this for a potential client and found that for 25 search terms there are 20 websites that ranked number one. So websites aren't all going after the same keywords. What Percent of Your Traffic is From Google? Last month, Hitwise reported that Google comprised 72.4 percent of all U.S. searches carried out in the four weeks concluding April 25, 2009. Yahoo! Search, MSN Search and Ask.com picked up 16.3 percent, 5.78 percent and 4.0 percent, respectively. For Google that represents a 7% year over year change. The other 49 search engines in the Hitwise Search Engine Analysis Tool accounted for only 1.4 percent of U.S. searches. In April 2008, 14% of the traffic to our website - ProceedInnovative.com - was from Google organic searches. In April 2009 it was 34%! In that same month only 4% was from Yahoo. What else did Hitwise say about April ’09 compared to April ‘08? - Lengthier search terms, averaging five to more than eight words long, have risen 7 percent. - Business and Finance, Sports and Online Video categories displayed double-digit escalations in their share of traffic arriving directly from search engines. What does this mean for my website marketing? - It’s all about Google. - Go for the long tail. - If you can get your site to come up in Google for long tail search terms, it could become a goldmine. How about you? What percent of your traffic is from Google? Do you optimize for the short tail or the long tail? Send us your comments. When to use a 301 redirect? When you are launching a new website and the actual URL structure of your site changes. For example: current page is www.mywebsite.com/about.html and the new page is www.mywebsite.com/about.php. If the current page has prominent position in search engine results and/or back links - you'll want to pass on this credit to the new page. 301 redirect is the way to go! 301 redirects are search engine friendly and the ultimate way to pass on credit from an old page to a new one. 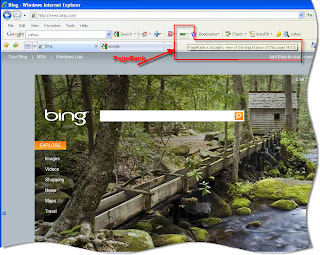 Even if you are deleting a page - first use a 301 redirect to forward it to your home page or your site map page. 301 redirects are implemented differently based on the type of your web host. Contact Proceed Innovative if you need more information.